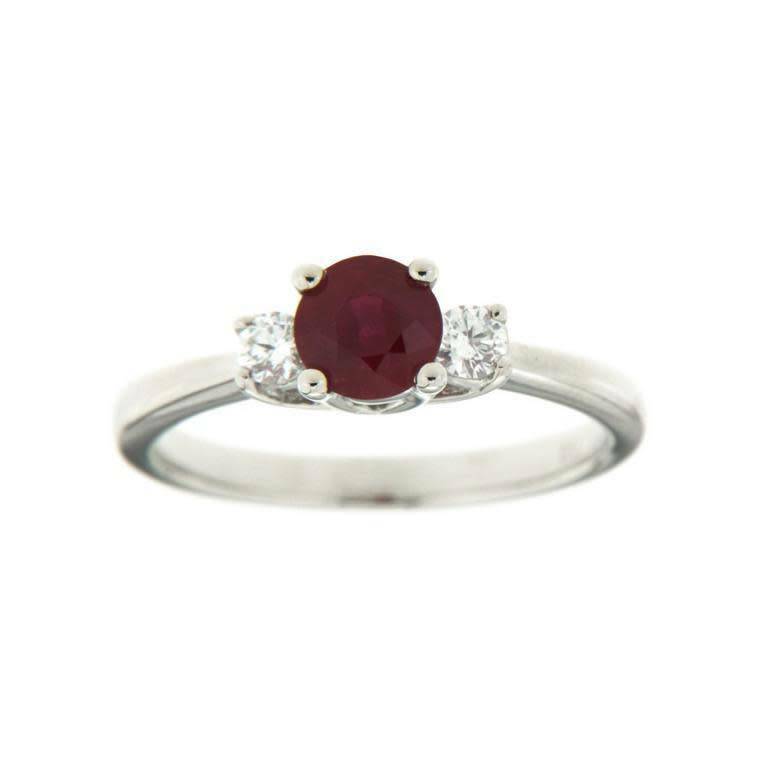 Ladies diamond and ruby trinity ring of classic styling. The ring is crafted in 18k white gold and is set with one round cut ruby at center flanked by two round brilliant cut diamonds. The ruby is four-claw set in a basket head and is of fine colour and clarity. The two diamonds are each four-claw set in basket heads.